Innocent World Rose and Tulip Flare jsk in the pink colorway. 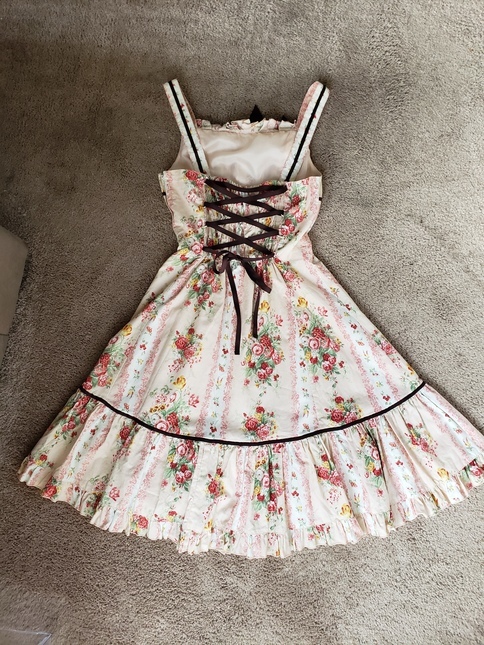 I purchased this dress second hand and wore it twice. 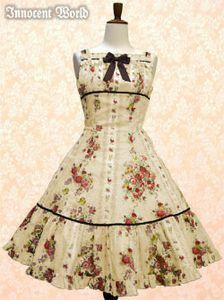 I really wanted to like this dress but the flared shape just doesn't fit me right. 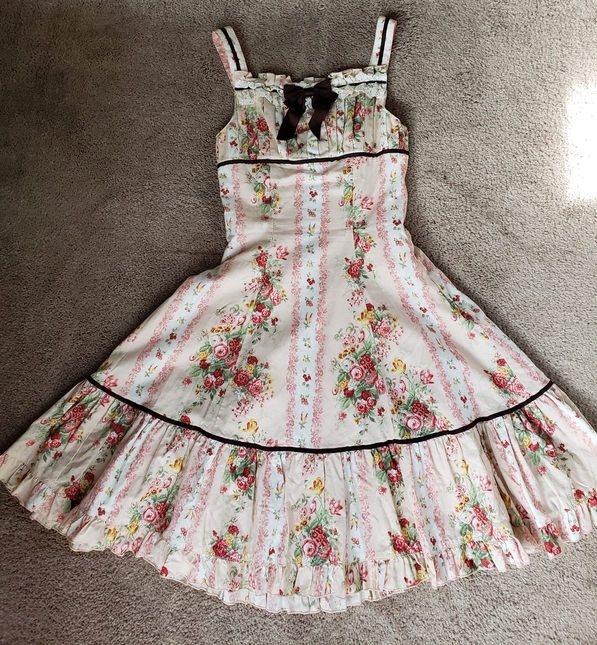 It has partial shirring and corset lacing. It also has button straps so you can adjust the button position for a custom fit. I did have to resew the buttons slightly lower to fit me (pictured). 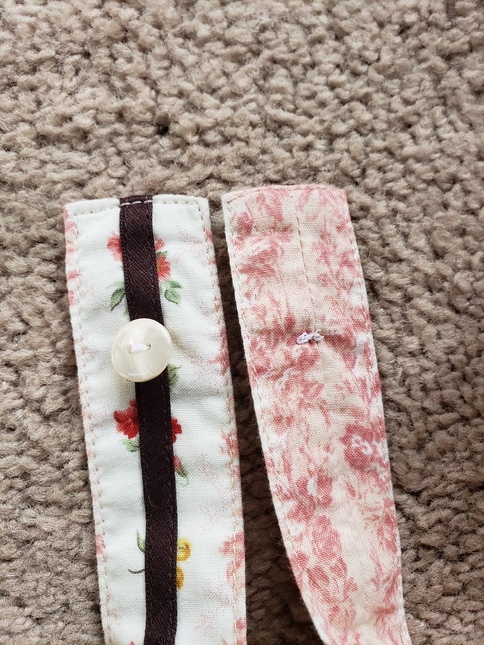 But it is really easy to sew the buttons wherever you need them! 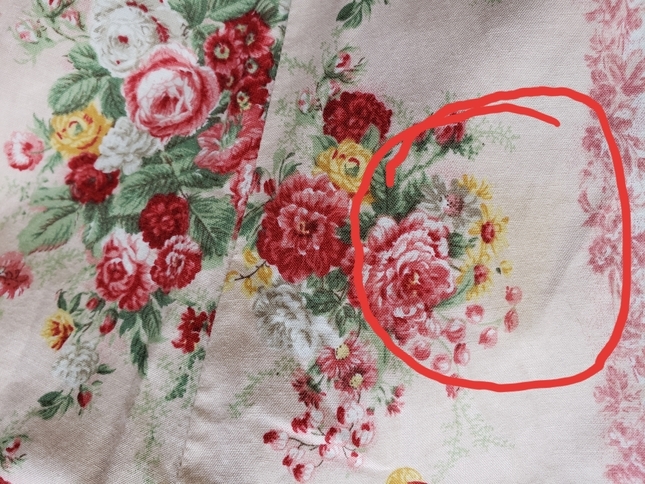 There is also a very slight discoloration on the front of the skirt (also pictured), but it is very light and hardly noticeable. For people with severe allergies/asthma, please note that I do have a cat. I will remove any cat hair. Please message/comment for international shipping rates. I only ship with tracking.